We are on a mission to become aleader in mobile tycoon games. 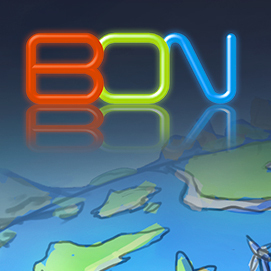 Bon Games was founded in 2016. The story begun in 2011 when CEO Ilkka Immonen and CCO Taneli Roininen collaborated in a mobile game project for Habbo Hotel. The project sparkled an idea to start a mobile game development studio together. After a lot of brainstorming, Bon was founded in 2016. In 2016 the founding team identified a gap in the mobile game market offering. The appstores are missing quality F2P tycoon games. The category has less competition and modest CPI, but it also has the most committed and engaged players. The team loves tycoon and business simulation games, so our mission was found: Become a leader in mobile tycoon games. In the past, the genre was very successful with games like Transport Tycoon and Railroad Tycoon, but the team recognized that today’s mobile marketplace doesn’t offer modern adaptations for the category. Therefore, the team decided to go forward with a killer idea: Transit King Tycoon – a transport themed tycoon mobile game. Make cities grow, find more resources, manufacture high-tech goods and build the transportation empire of your dreams. Collect the shiniest fleet of trucks, and other vehicles. Buses, airports etc. coming soon! Level up to gain access to better vehicles and reveal your island completely!